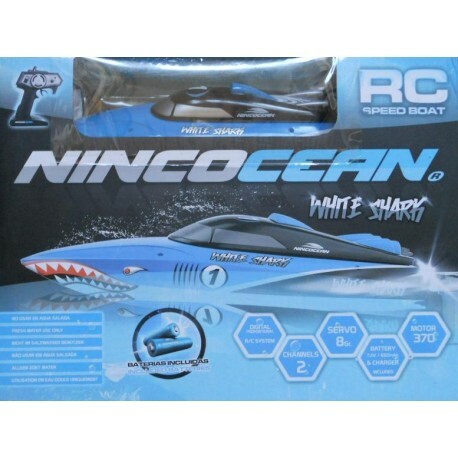 This is the "White Shark" boat from Ninco. 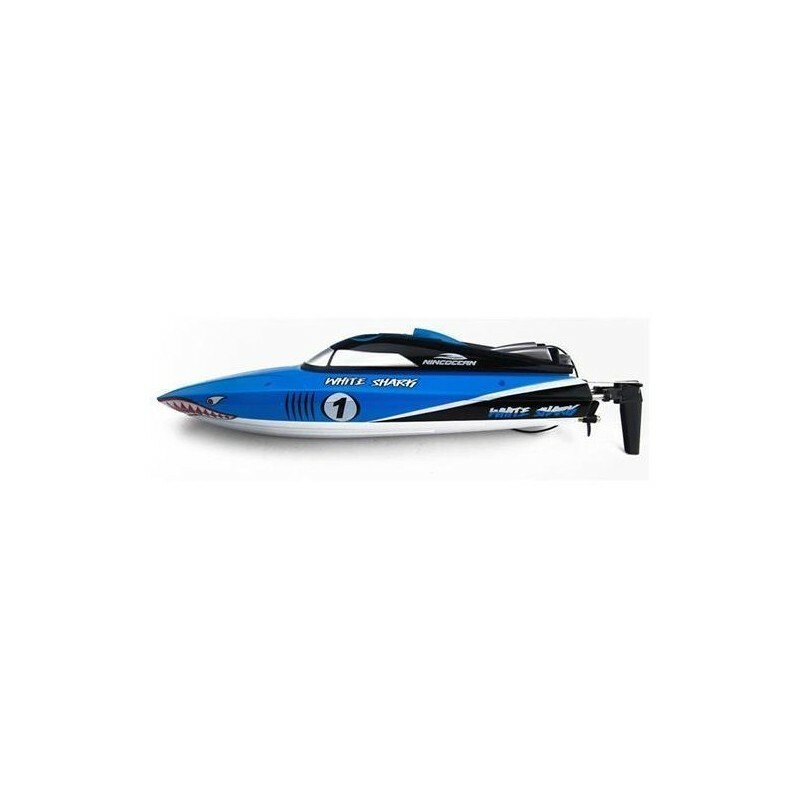 It's a fast agile sports boat complete with rudder which allows for precise and quick turns. 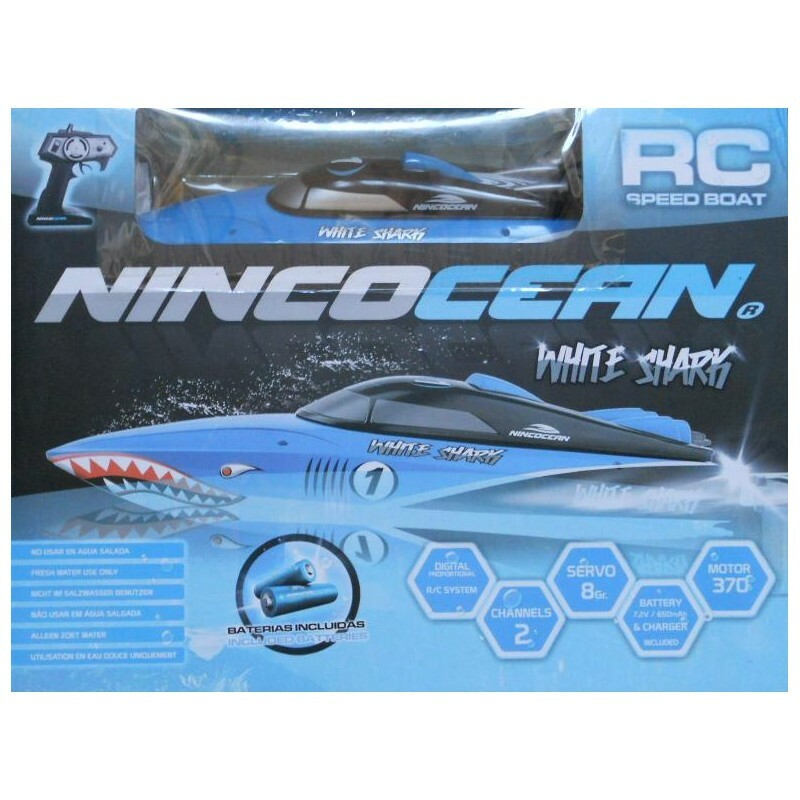 It is equipped with a 2 channel infrared receiver to give you maximum control in the water. 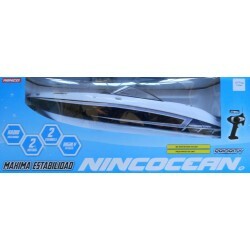 The model is ready to sail and comes complete with Batteries, Charger, Boat and Infrared Transmitter.